With the Open Championship teeing off this week, the PGA Championship coming up in August, the Ryder Cup in September, and weekly tournaments on the PGA, LPGA, and PGA European Tour, wagering on the golf betting odds is quickly becoming one of the most popular markets of the summer. Betting on golf isn’t just about picking an outright winner. Sportsbook offer a slew of gambling options for the action on the course, including head-to-matchups, Over/Under totals and player props. The outright winner odds are the most basic bet you can make on golf: which player is going to win the tournament. 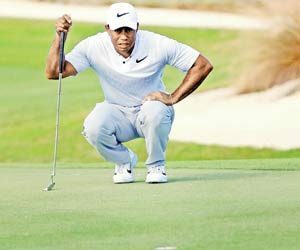 Depending on the scale of the event, outright winner odds can be posted months in advance – for majors such as the Masters – or they’ll come out the week of, once the tournament field is confirmed. Popularity has a lot of impact on the pricing for tournament futures, with the big-name players sitting atop the board regardless of their current form. Guys like Phil Mickelson and Rory McIlroy will always be among the favorites but their recent efforts or motivation might not match those odds. Golf bettors should try to find value in those players behind the big names. Look for golfers posting consistent results in recent tournaments and also ones that suit the course well. Some golf courses put an emphasis on power off the tee while others favor those guys with a great short game and precise putting. Size up the course layout, than size up the odds. Rather than betting on one player to top the entire field, you can wager on player-versus-player props for each round of the tournament or the entire event. Not every tournament has a full list of head-to-head matchups and options do vary from book to book, with larger events such as the majors boasting a bigger betting board. Much like handicapping the outrights, you want to find players who come into the tournament on a high note – or at least have a history of playing well on that particular course. Some guys love to play at certain courses while some golfers constantly struggle at others, and finding that out is a great way to spot value in the matchup props. And again, bank on the saying “horses for courses”, which means some skill sets suit particular courses better than others, so find out which players can leverage that when betting the head-to-head odds. One of the most popular Over/Under props when betting on golf is the round-by-round top score total. Most books will set a projected leading score entering each round, and golf bettors must wager if the man/woman atop the leaderboard will have a score Over or Under that number. Taking into account all those factors discussed above, golf bettors should also look at course layouts, past tournament results at that course, and any significant changes made to the course heading into that current event. Weather is also an important factor to consider, as a hard dry course can play fast and make it tough for the short game while rain and wind can have an effect on how golfers approach the course. Bettors will find more value tackling the Over/Under top score prop in the opening two days of a tournament, as books adjust to the current state of the course and current form of players. If you can find an edge in Rounds 1 and 2, jump on it before those odds find their sweet spot in the final two rounds. Why and why not: Will these World Cup betting favorites cash in?